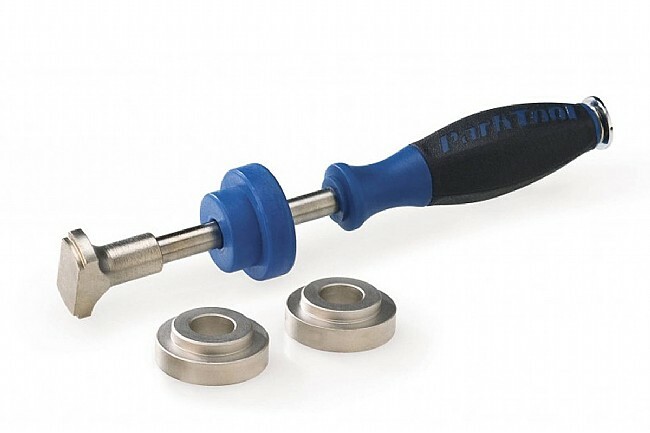 The BBT-30.3 includes a bearing remover, which slides through the bottom bracket shell and into the bearing so it can be tapped out with a hammer. The set also includes two installation bushings #669 designed for the BB30 and PF30 bearings. The bushings are used in conjunction with an HHP-2 or HHP-3 Bearing Cup Press to press the bearings into the frame.